Part of the Minerva Series of lectures. What do superheroes eat for breakfast? Ever wondered what a superhero eats for breakfast? Do they need a special diet to feed their superpowers? The odd metabolisms of superheroes must mean they have strange dietary needs, from the high calorie diets to fuel flaming bodies and super speeds, to not so obvious requirements for vitamins and minerals. 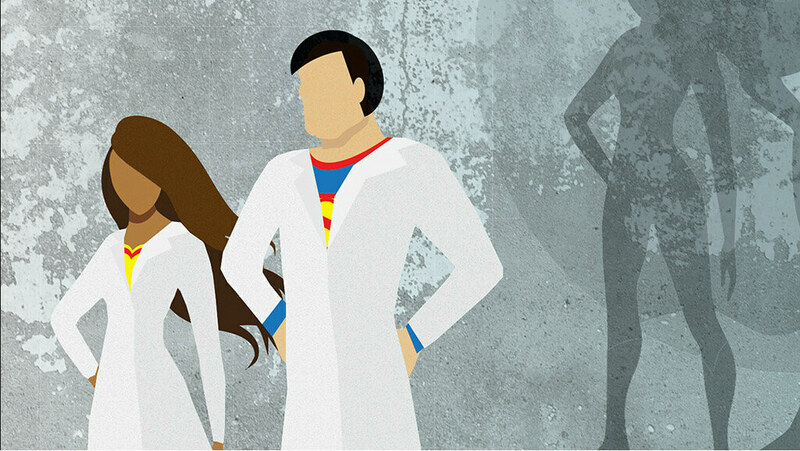 The Secret Science of Superheroes looks at the underpinning chemistry, physics and biology needed for their superpowers. Take a look at synthesising elements on demand, genetic evolution and what superhero suits could be made of. These topics introduce a wide range of scientific concepts, from protein chemistry to particle physics for a general scientifically interested audience. Professor Mark Lorch, University of Hull. A chemist, writer and science communicator, Mark started his research career working on protein folding and has since delved into all sorts of other aspects of biological chemistry ranging from how organisms' signalling molecules will be affected by ocean acidification to monitoring micro-pollutants in waterways. Alongside his research, Mark is passionate about communicating science to as wide an audience as possible. To that end his prose regularly appears in the mainstream press, he established and directs the Hull Science Festival and he pops up regularly on radio and TV.